Porada – the latest addition to our stable! Its official, we are now a Porada retailer!! 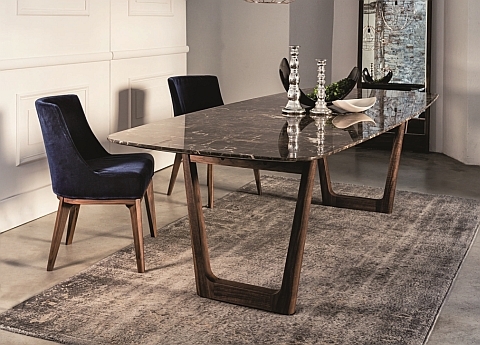 This top Italian brand produces very grown up, sophisticated contemporary furniture in solid wood (combined with upholstery, glass & metal) and will make a fabulous addition to our other fantastic Italian brands (Jesse, Bonaldo, Lema, Tonelli, Contardi & Vibieffe to name just a few). We don’t like to add new brands for the sake of it, they need to add their own unique value and Porada’s collection of elegant dining tables, chairs, bookcases, sideboards & media units are not just ‘more of the same’ for us.